Wonderful things my couples have said about me …. We just wanted to take a moment to thank you for your expertise in planning and pulling together the most amazing ceremony. It was a dream come true for Damien and I, and we know it wouldn’t have been possible without you. Thankyou for going above and beyond for us, and for making this the most memorable day for us and all who attended. WE LOVE YOU!!! I just wanted to say a big thank you for your superb ceremony on Saturday. 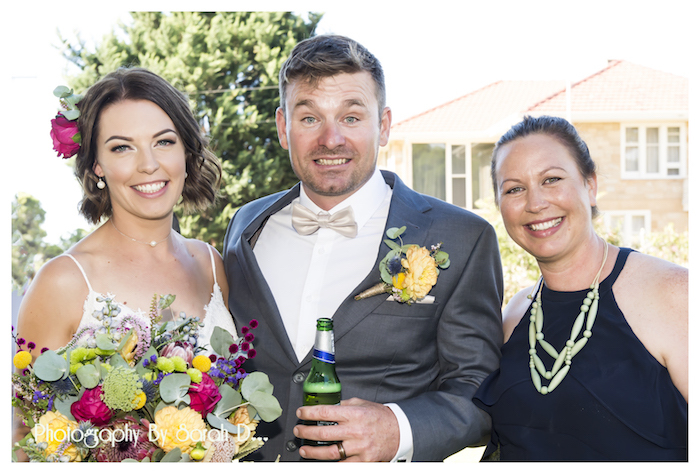 It was obvious that you had really gotten to know Gen & Damien before the wedding and your words and the build up to their vows gave so much pleasure to myself and my husband Andrew and I had so many people comment that it is the best ceremony they had ever been to. 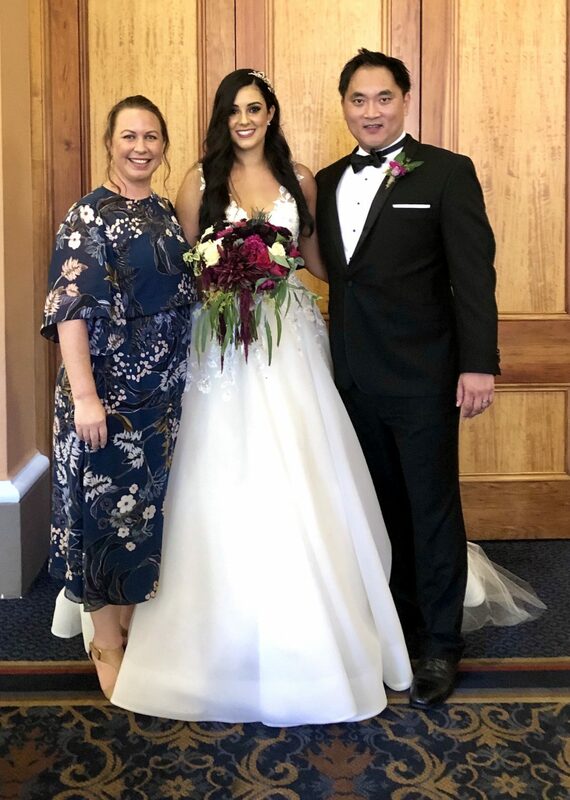 To see our daughter Genevieve so happy and marrying such an amazing man as Damien was everything we could have hoped for and it was just the best day. There wasn’t a dry eye in the house.Thank you from the bottom of my heart for bringing us so much pleasure. 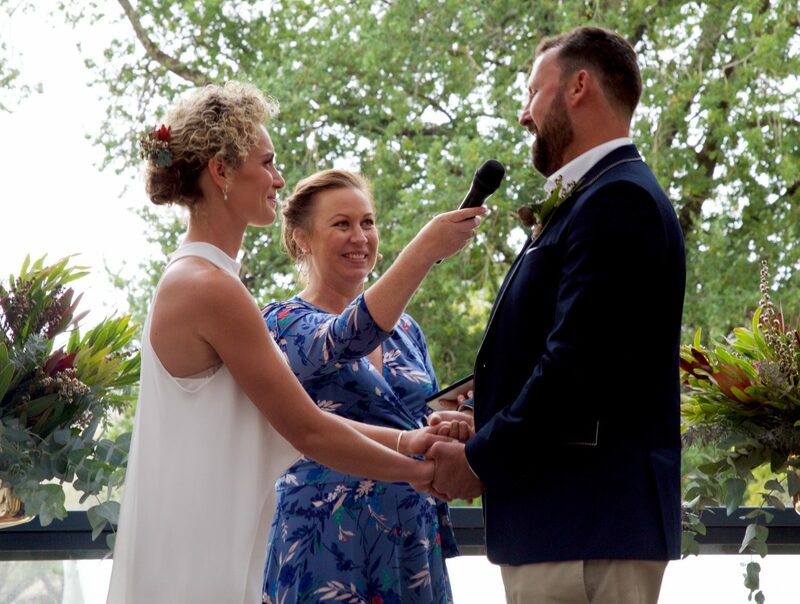 We are so incredibly lucky to have had Amanda preside over our recent Renewal of Vows! 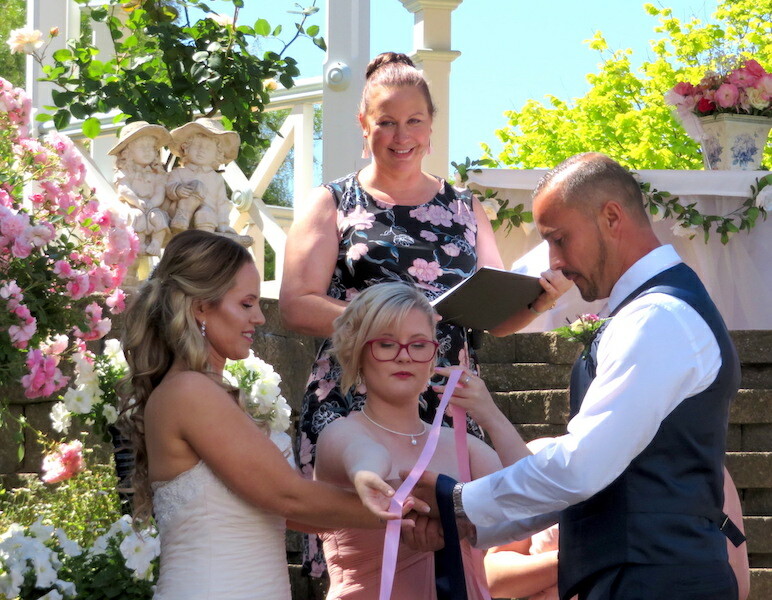 She took 10 years of random stories and wove them in to a heartfelt, entertaining and moving ceremony that perfectly reflected us as a couple and what we wanted the day to represent. She did so in a relaxed, sincere and elegant style. Amanda was immediately approachable and accommodating and made the preparation a breeze. We cannot thank her enough nor can we recommend her highly enough! Look no further! Thanks for everything Amanda, everyone loved our service. Amanda was the celebrant for my daughter’s wedding. It was an absolutely amazing service. So personal and traditional. Amanda you delivered a beautiful service. We’ve had so many of our guests call to say how beautiful the service was. Everone loved it and most importantly the bride and groom. A big thankyou from the mother of the bride. We could not have chosen a better Celebrant for our wedding ! Amanda has been very professional since the beginning. Her beautiful energy and kind words has contributed in making our day even more special. Thank you dear Amanda for having celebrated and made official our wedding! 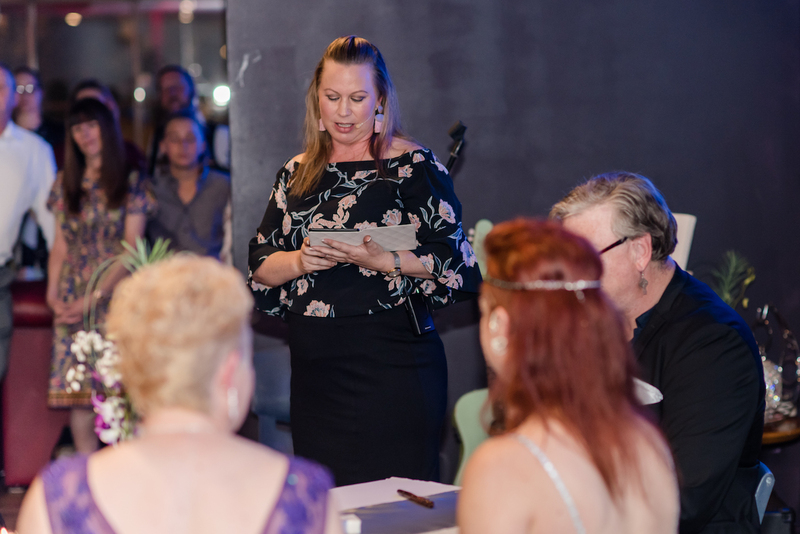 From the moment we encountered Amanda at a wedding expo in March 2018 she was personable, engaging and receptive to our queries and unique wedding concept. 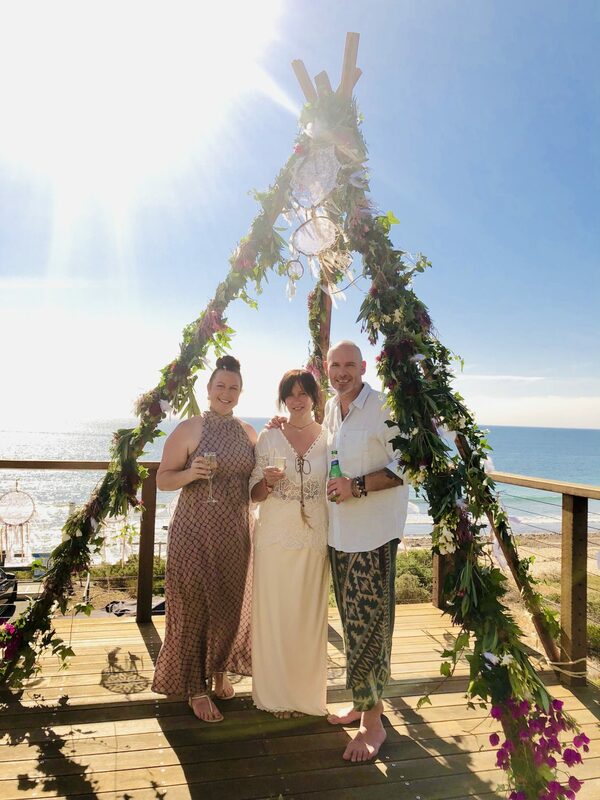 We had planned our wedding for 7 months ahead and over those months, Amanda provided us with a plethora of information, options and professional guidance to ensure our planning and preparation would culminate into the magical celebration it was. Amanda was responsive to and accommodating of our ideas, with an open mind and flexible approach to achieving these together. She was efficient in coordinating behind the scenes formalities enabling the legalities of our union to fade into the background whilst we relished in the excitement and sheer joy of our impending date. Amanda facilitated our rehearsal at a time, date and location of our choice, convenient for us and our clan participating in our ceremony. We had 8 family members all contributing in different ways through readings, speeches, musical accompaniment and song, interspersed and woven throughout the formal proceedings. Amanda embraced our diverse and complex arrangement, ensuring her understanding of our procession reflected our vision. On the night of our wedding Amanda was punctual and highly organised. She blended in with our guests prior to enacting her officiating role, yet was available and attentive at all times. In commencing our ceremony, Amanda was articulate and expressive, presenting every element with enthusiasm and poise. 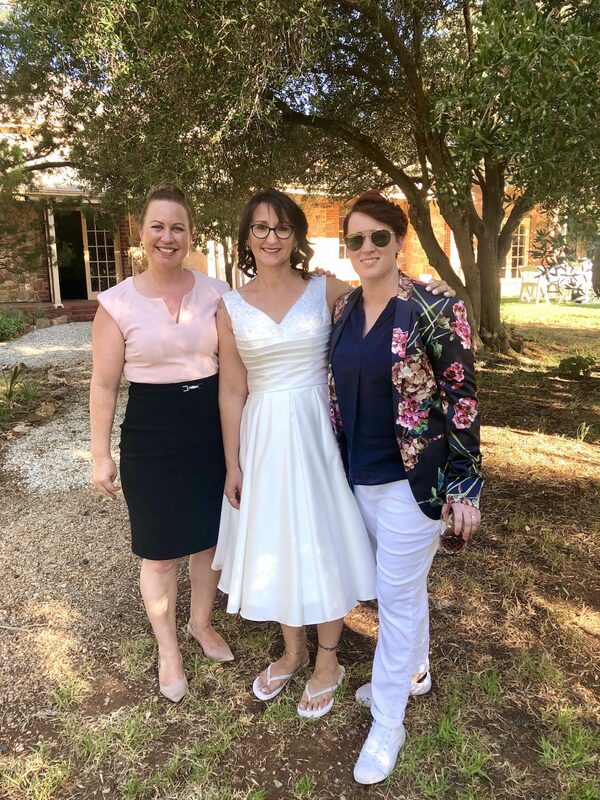 Her calm demeanour and joyful smile were both comforting and reassuring that our ceremony would unfold effortlessly to become a truly memorable experience for us all. And it most certainly was. Even when our meticulous plan detoured by a spontaneous transgression, Amanda took it in her stride to go with the flow, thereby enabling a seamless transition, linking the unexpected with the order pre-empted. 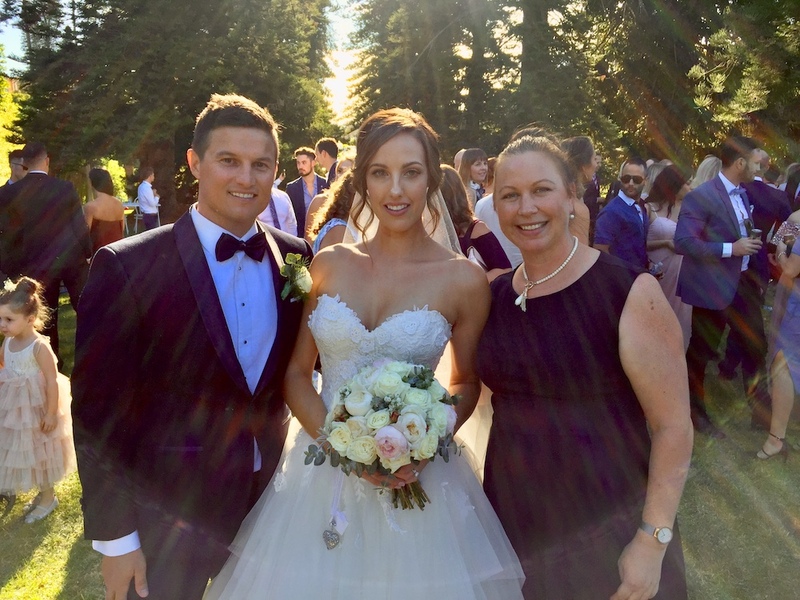 Amanda’s exceptional customer service, consideration and care, were instrumental in creating the perfect wedding for us and no doubt for any couple seeking sublimity for their special day. Hail the leafy sea-dragon! Thank you for the most magical day, catering to all of our wants and needs, and making our ceremony fun, quirky, entertaining and family orientated. We could not ask for more, but your delivered more. The surprise inclusion of our kids singing … BANG what a highlight. We have watched a few home videos that friends and family filmed and we just laugh and get taken straight back to our day. 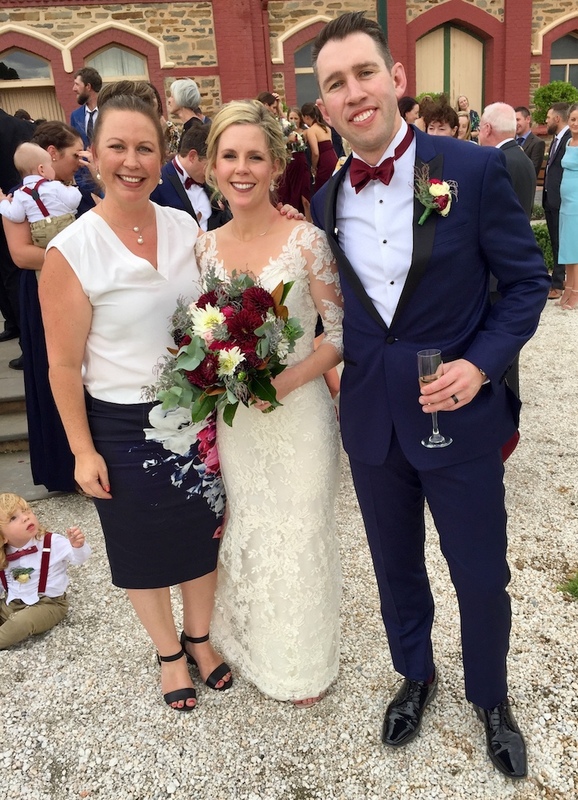 We cannot speak highly enough about Amanda, who was our celebrant recently in April. Amanda is friendly and approachable yet professional, but the best part was that Amanda took time to get to know us. It meant that she understood us. Amanda went over and above putting in amazing effort to make our ceremony what we wanted and also a ceremony that two very nervous people felt completely at ease with. Amanda got everyone laughing all through the ceremony amongst the beautiful stories and happy tears. Absolutely brilliant. Thank you. 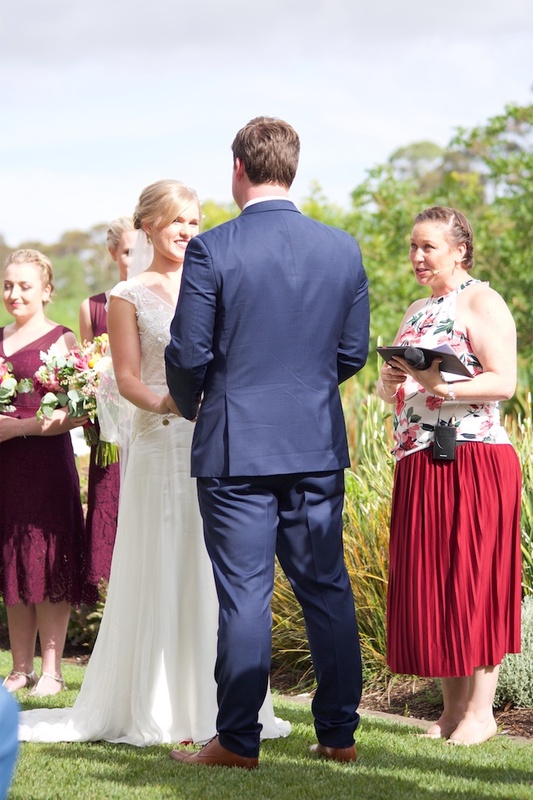 We were recently lucky enough to have Amanda as our celebrant. 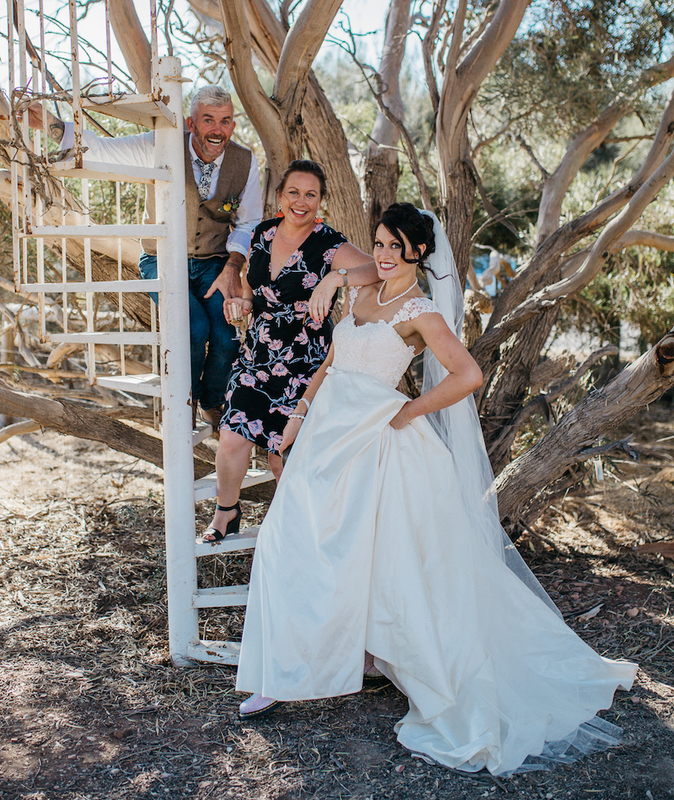 She proved to be very professional and made us feel very relaxed throughout the process, she was an awesome fit for the style of wedding we wanted, fun and relaxed. 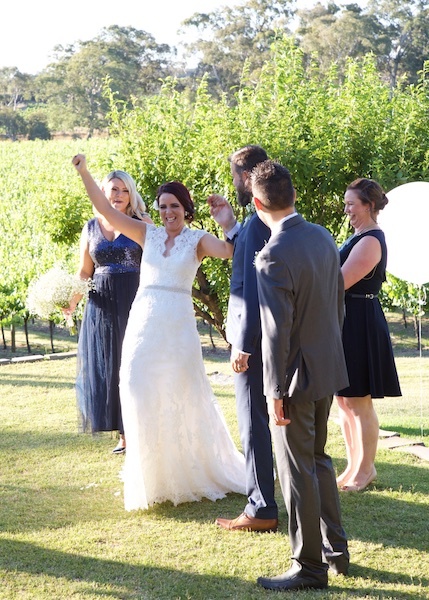 We highly recommend Amanda to anyone requiring a celebrant. Amanda was an absolute star. 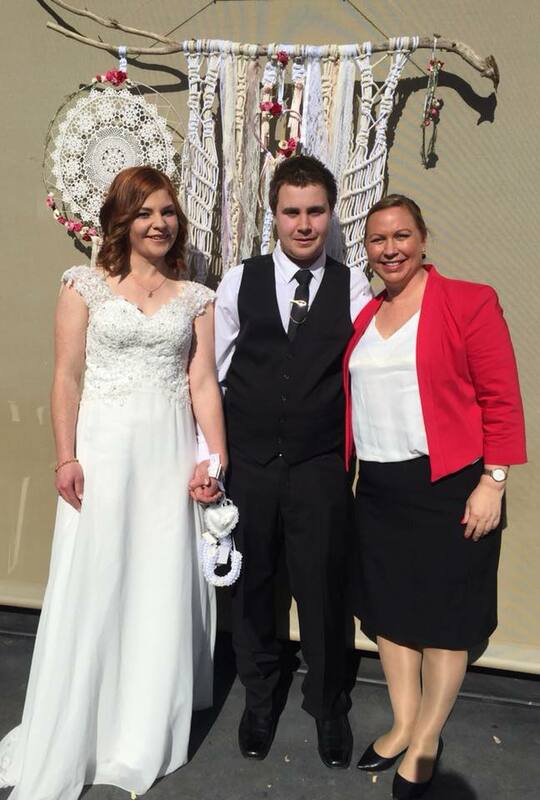 We wanted my sister to be involved and were concerned that the celebrant might make this awkward/difficult etc. Amanda was so helpful in planning which parts she legally had to do and working with my sis to nail the rest. The result was absolutely what we wanted and all the feedback was positive. Given Amanda’s great personality and professional approach, I’d also be confident that she would have done an awesome job if we had asked her to do the whole thing. Couldn’t make a higher recommendation!! 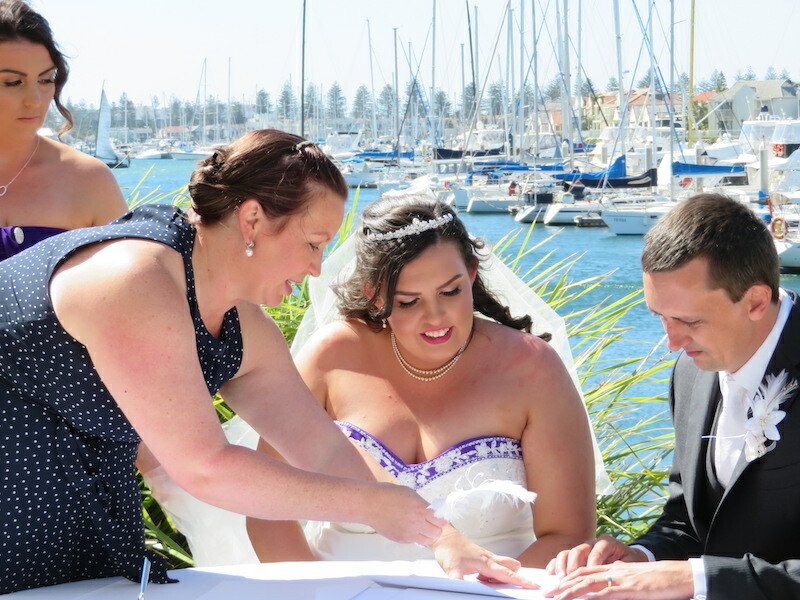 Amanda was our marriage celebrant, and made everything so easy and enjoyable for us! She really ‘got’ us and made our ceremony very personal, unique and laid-back. We had so many compliments from our guests about how lovely the words of our ceremony were, and how much they loved hearing our story. It was so special and just felt so perfect to us. Amanda is extremely organised and thorough, and we knew right from the start that we wouldn’t have to worry about a thing! We had an amazing day. Our ceremony was just the best! We want to relive it all again! She went over and above to make our ceremony perfect. Travelled to meet us numerious times. Her professionalism from paperwork to organisation is outstanding. What we loved most was her down to earth nature. Do yourself a favour and give Amanda a call, you will not be dissapointed. When we first Amanda it was like we had known her forever!!! She made the entire ceremony a breeze to organise and made sure everything was always on track. 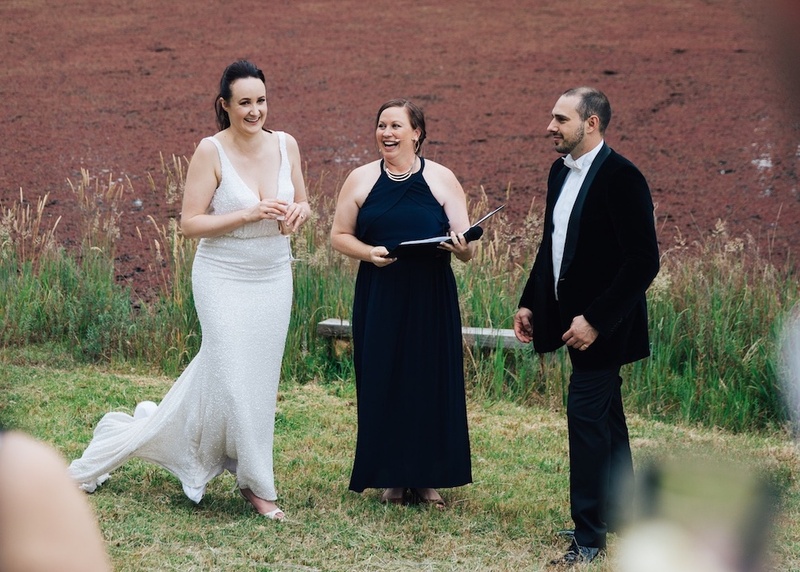 Our ceremony was amazing, it had the right mix of humour, seriousness and romance. It was an absolutely perfect day and we can’t thank Amanda enough for making our day so special!! Yesterday my husband and I tied the knot! Amanda did an amazing job, it was a simple backyard wedding. She was so supportive and lovely. She reassured us before the day and on the day, especially for me who was an emotional wreck, she knew just how to handle it, just what to say to help me gather myself and continue the ceremony! Thankyou so much Amanda, our day was just perfect, everything worked so well… we couldn’t have asked for anything more! Amanda was fabulous from the first moment. Friendly, supportive, encouraging and always willing to go the extra mile. Amanda even stepped in as a last-minute MC for our reception! 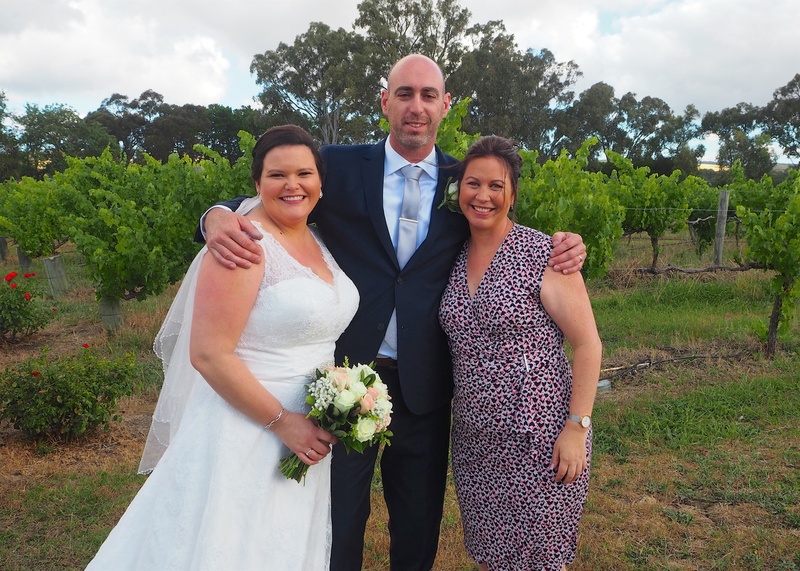 If you’re looking for someone fun, passionate and committed then Amanda is the celebrant for you. She goes above and beyond and we couldn’t have been happier with our choice. Thank you Amanda for assisting on our wedding day. You were extremely professional in the preparation and on the day. All of you materials assisted us greatly in preparing and we thank you very much. We will definitely recommend you to our friends and with you all the best in the future. After losing my first celebrant to illness!! Amanda saved mine and my husband’s wedding. Just 3 weeks out from our day she came to our rescue and was free marry us. Without her we wouldn’t be married!!! She offered advice and support from start to finish, and guided us through the paperwork that needed to be completed. 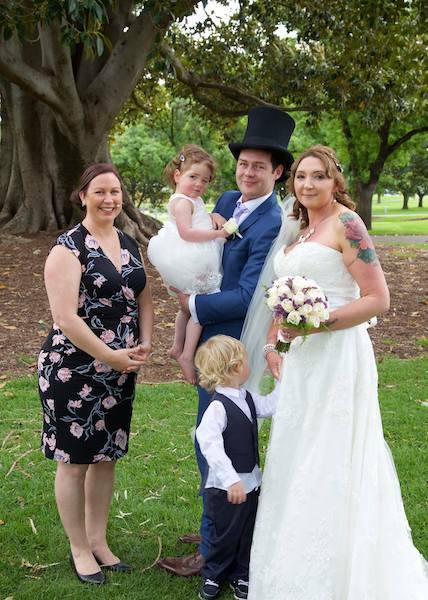 Amanda listened to what we wanted and incorporated everything that was important to us throughout our ceremony, including our children which made it perfectly tailored to us as a couple and a family.